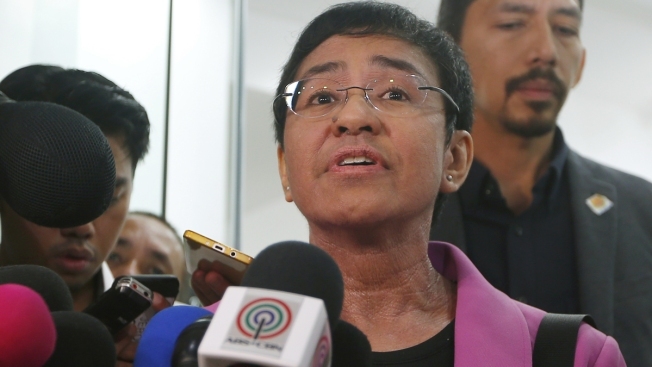 This Jan. 22, 2018, file photo shows Maria Ressa, CEO of the online news agency Rappler, talk to the media in Manila, Philippines, after attending a summons hearing from the National Bureau of Investigation on a cyber libel complaint filed several years ago. The award-winning head of a Philippine online news site that has aggressively covered President Rodrigo Duterte's administration was arrested Wednesday by government agents in a libel case. Rappler said the businessman filed the libel complaint five years after the article appeared in 2012, and the law under which Ressa was charged by the government, the Cybercrime Prevention Act, did not go into effect until months after the article's publication. The article included allegations that the businessman was linked to illegal drugs and human trafficking, and that a car registered in his name had been used by the country's chief justice. U.S. Secretary of State Rex Tillerson met with Philippine President Rodrigo Duterte on the sidelines of the Association of South East Asian Nations (ASEAN) summit on Aug. 7. The meeting marked the highest-level interaction to date between a member of President Donald Trump’s administration and Duterte, accused by human rights groups of flagrant abuses in his war against illegal drugs. 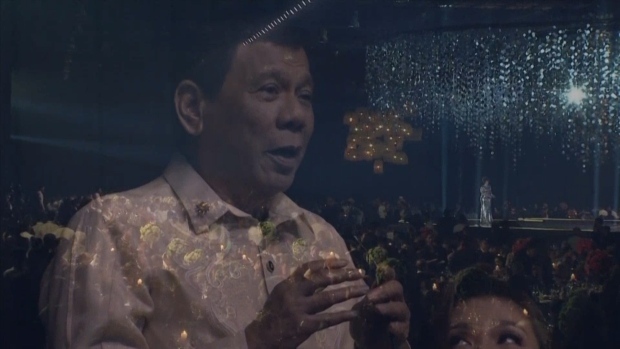 Rappler is one of several news agencies deemed critical of Duterte's policies. The International Press Institute, a global network of media personnel, strongly condemned Ressa's detention. "The manner in which Ressa has been pursued by the government by slapping legal cases against her is not only shameful but also a gross and willful violation of press freedom."